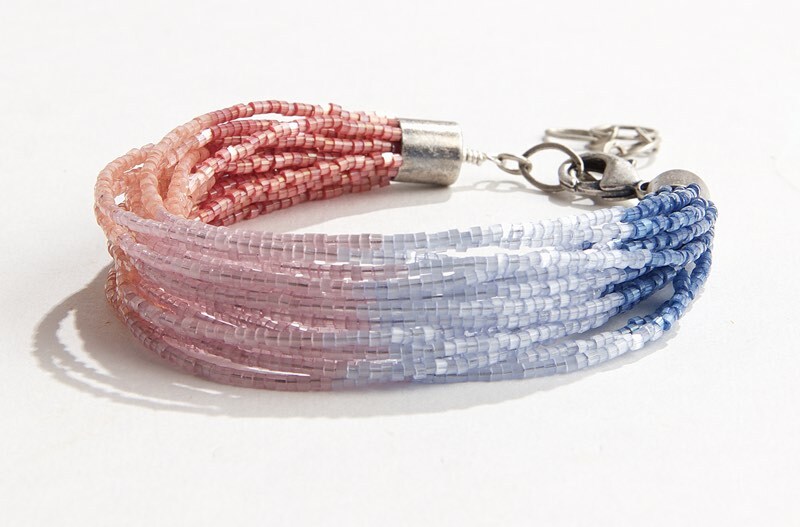 Silk Satin Delica beads have a unique finish that is different from other seed beads. Their special glass contains thousands of tiny bubbles giving them a beautiful glittering surface. The Silk Satin finish resembles mica with a fiber optic-like texture. Because they contain micro bubbles, they are extremely lightweight and slightly wider than regular Delica beads. The Silk Satin Delicas also have sharper edges than most Japanese seed beads so require a little extra care. Silk Satin Delicas are available wide range of earthy pastels as well as some brighter colors. There are three different series of numbers in the Silk Satin Delica line: DB0635 - DB0680, DB0820 - DB0833 and the newest selections DB1802 - DB1887. The newer colors are the most vibrant ones yet! Shop for Silk Satin Delica Beads.